You are going to Watch Naruto Shippuden Episode 281 English subbed online free episodes with HQ / high quality. Stream Anime Naruto Shippuden Episode 281 Online English sub The Allied Mom Force!! Konohamaru participates in a meeting organized by Ebisu in Konoha of the remaining villagers, mostly including the children and wives. Ebisu attempts to rally everyones’ spirits together in the event that rogue ninja should attack the village while their shinobi families are away at war, but the mothers scoff and claim that they will protect the village as they always have while their husbands fought. 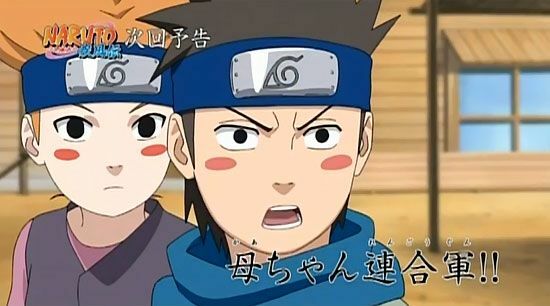 Suddenly Konohamaru is approached by several children, each claiming to have seen terrifying rogue ninja roaming the east and west forests outside Konoha. He tries to recruit his classmates into hunting them down, but they refuse to believe him.